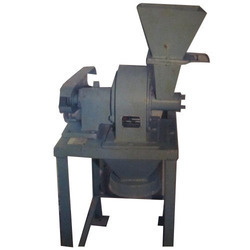 We produce Pulverizer Machine made of high-grade stainless steel. When it comes to manufacturing superior quality Pulverizer Machine to our customer. Power Consumption (HP) 2 H.P. 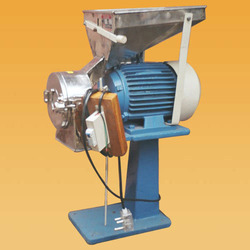 We are the leading manufacturers of Baby Pulverizer. 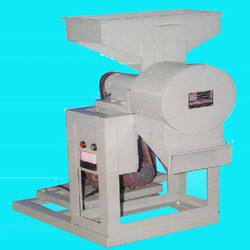 We offer Micro Pulverizer Machine that is provided with swing beaters to our customer. 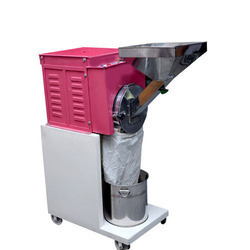 The pulverizer has a liner on the upper side and 20 to 250 mesh changeable screens on the bottom side. It is advantages such as easy cleaning, water cooling, screw feed air balloon to reduce wastage, C. I. body mounted on M.S./S.S. frame and much more. Precision engineered these micro Grinding Pulverizer machines are useful for grinding a variety of soft to medium hard materials. 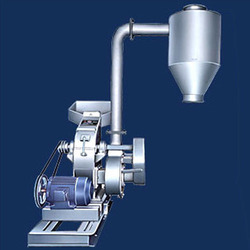 Grinding classifying & conveying is done in one operation. Particle size is finer & more uniform. No dusting from feeding hopper.